South Florida yoga fans can get Zenned out for free at places such as the Nautilus South Beach hotel, which has begun offering free yoga classes. The Nautilus is holding a Nauti Sunset Yoga Session every third Thursday of the month (the exception is this month, when the session will take place on Thursday, Aug. 23). 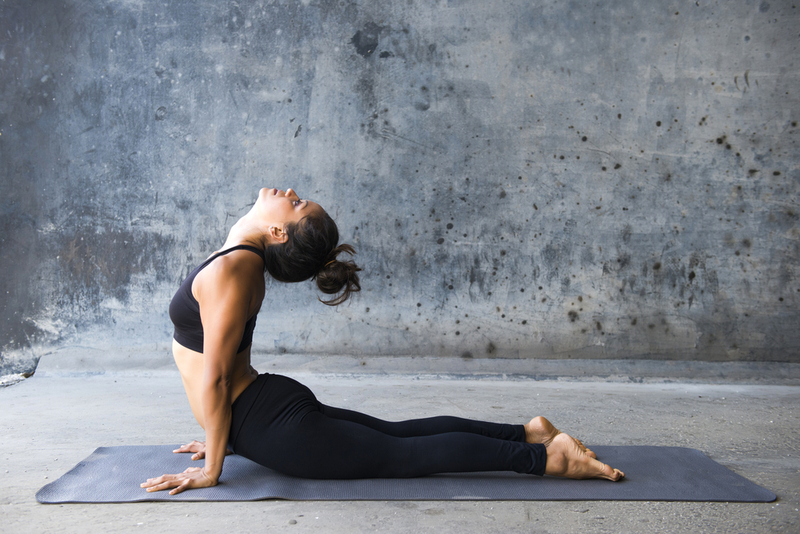 The 60-minute power-yoga class starts at 7 p.m. and is open to the public. The Miami Beach hotel is also offering a 60-minute beachside workout that includes band exercises and cardio movement. • Yoga at the Library — 5:45 and 7 p.m. Tuesdays and 9:45 and 11 a.m. Saturdays at the Mandel Public Library of West Palm Beach, 411 Clematis St.. For more information, go to WPB.org/MyCityLibrary and click “Online Calendar” on the left-hand side. • Sunset Beach Yoga — 6 p.m. Wednesdays and Sundays at Atlantic Dunes Beach, 1605 S. Ocean Blvd.. This class is led by the appropriately named Jessica Om. For more information go to Facebook.com/sunsetBeachYoga or Meetup.com/SunsetYogaOnTheBeach. • Saturdays at Sanborn — 9 a.m. Saturdays at Sanborn Square, 72 N Federal Highway. The yoga class is led by Leslie Glickman from Boca Raton’s Yoga Journey. And if you just can’t make it, the session is streamed live at Facebook.com/YogaJourney. Afterward, there’s also a free Capoeira Brazilian martial-arts class presented by Deerfield Beach’s Cia Do Axè. For more information, go to MyBoca.us and scroll to the bottom of the home page and click “All City Events” under the “View All” heading and then click on the Saturday date you want to attend a yoga class. 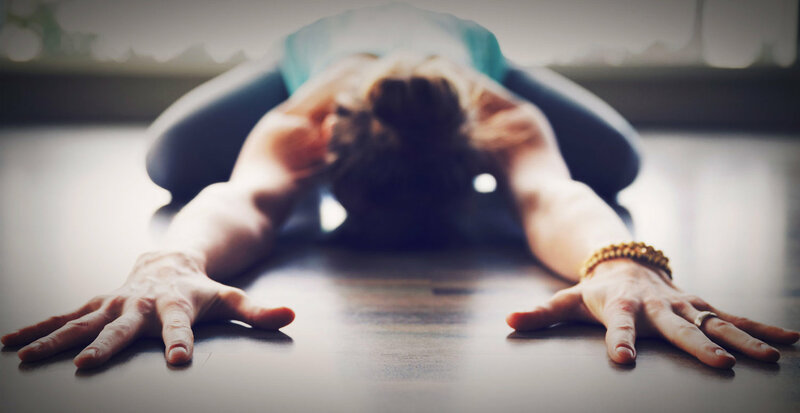 • Yoga and Yolks — 8:30 a.m. Saturdays at Shooters Waterfront, 3033 Northeast 32nd Ave. Stay after the yoga class overseen by the Taryn Allen Yoga Experience and enjoy a free glass of champagne and get $5 off brunch. The classes are kid-friendly. For more information, go to ShootersWaterfront.com. 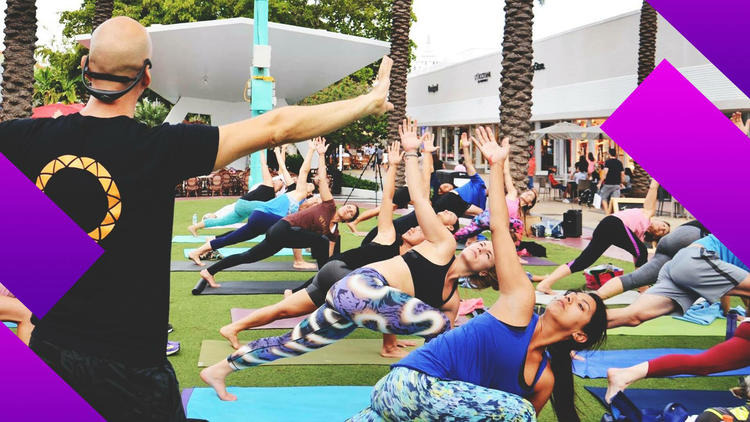 • Yoga a la Espanola — 9:30 a.m. Saturdays on Espanola Way and Washington Avenue in Miami Beach. The sessions on the pedestrian-only Espanola Way are facilitated by the nearby Synergy Center for Yoga and the Healing Arts. For more information, call 305-538-7073 or go to VisitEspanolaWay.com. • Bayfront Park — 6 p.m. Mondays and Wednesdays; 9 a.m. Saturdays at the Tina Hills Pavilion at Bayfront Park in downtown Miami. All classes are taught by a certified yoga teacher. If it rains, classes are held inside the Bayfront Park offices. All participants must be at least 18 years old and will have to sign a waiver. 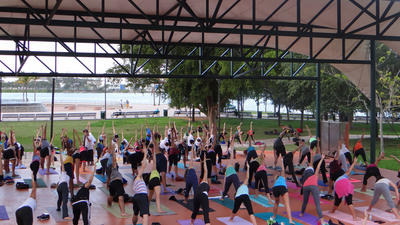 For more information, go to BayfrontParkMiami.com/YogaClasses.html.